You may have heard about “Google My Business”?! This is most probably the world’s biggest online catalog, where you can find information about businesses, places, institutions and many other objects from all around the globe. And you would be surprised about how many enterprises miss this nice opportunity to become more popular, not only in their country but also globally. The registration there is absolutely free and the benefit you can get from it could be enormous. Why? Because the people using this free service for finding a company they need, have been growing constantly. But their number would be still relatively small, compared to the number of the people that would find your business listing through a regular Google search for example. As you might know, almost everybody uses search engines, for finding products or services nowadays. Being on “My Business”, is a great way of promoting your company. It is completely free and will take you just a few minutes from your time to appear there. 1. Register/Sign in with your account on the Google My Business site by following the link from above. 2. Click on “Add a single location” button and type your address, phone number and all other required information. 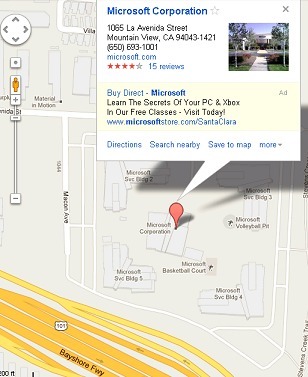 If your address doesn’t get recognized, you can set your exact location on the map, by using a marker. 3. After you register, you need to verify your business’ address. Google will send you a mail (a paper mail, not email) to your address containing a verification code. This is why you need to specify your address correctly in step 2. It usually takes 1-2 week to receive the letter with your code. After that, you need to enter the code the “My Business” and get fully verified. That’s all. Now you should have successfully listed your business on Google. Enjoy your listing. The process is really easy and simple. If you have any questions, you can drop them as comments below.